Governance Partners Group – Corporate Governance Energized! We are a team of corporate governance professionals who have served as Corporate Secretaries for multi-national and domestic companies of various sizes. 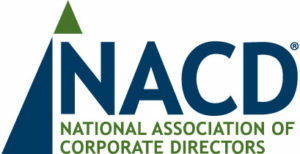 We have been long-term members of the Society for Corporate Governance and have implemented best governance practices advocated by the Society as well as the National Association of Corporate Directors and the Private Directors Association for Boards of Directors. GPG strives to deliver excellence in external corporate governance services to all types of corporations at a reasonable fixed cost. GPG can accomplish this because its governance professionals have breadth and depth of Corporate Secretary experience and deliver efficient and effective service in a low overhead environment. GPG professionals’ experience and personal service focus enable the delivery of customized Corporate Secretary services in a manner that meets the needs of each client based on the client’s size and scope. When the 5 key services below are provided by an external Corporate Secretary your company receives an independent expert who identifies and implements best governance practices that empower focused leadership resulting in more effective Board decision-making and enhanced Shareholder value. Outsourcing the Corporate Secretary role to experienced governance professionals allows mid-market companies to efficiently and effectively meet their governance requirements. “As a member of the Boards of Directors and Chair of the Audit Committees of several privately held companies, I have had..."
“At Dow Corning, Paul Marcela was instrumental in assisting my staff and me in the preparation of the Company’s financial statement..."
“When I was the Chief Financial Officer of Dow Corning, I had the pleasure of working with Paul Marcela on many corporate..."